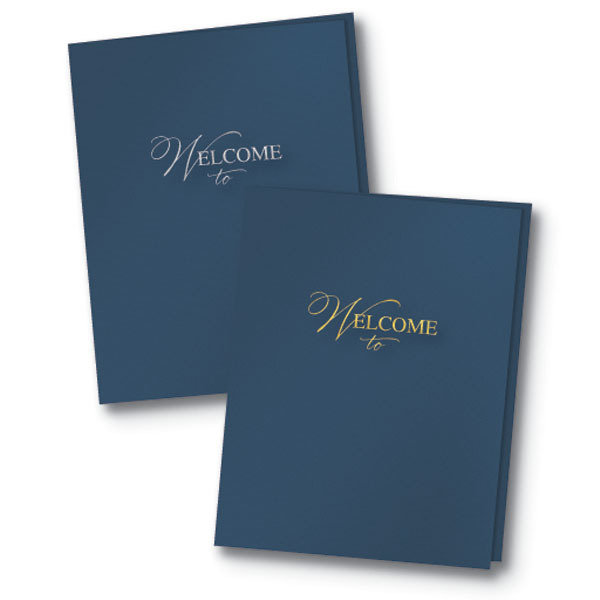 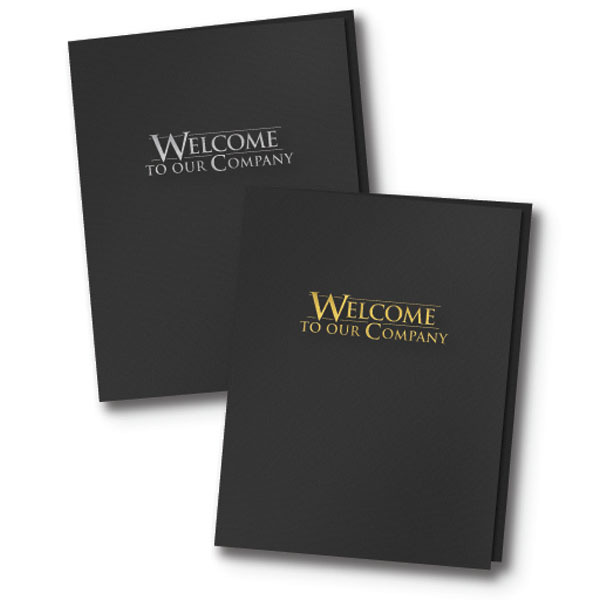 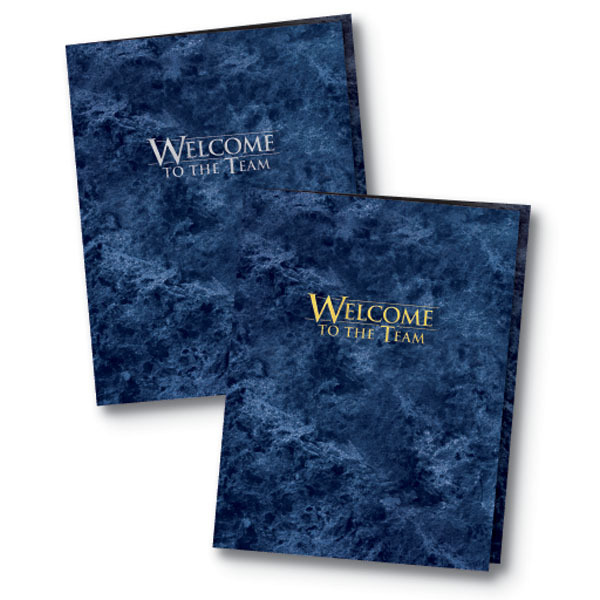 Whether you’re welcoming a new team member or making a business proposal, these Presentation Folders have you covered. They’re perfect for bundling all the required “first day” new employee forms and benefits information in one impressive package. Add a professional touch to any documents you put inside these folders you can customize with your own text and logo. 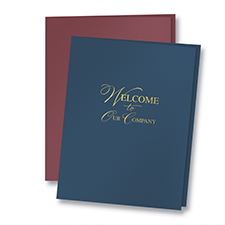 Size: Approximately 9" x 12"